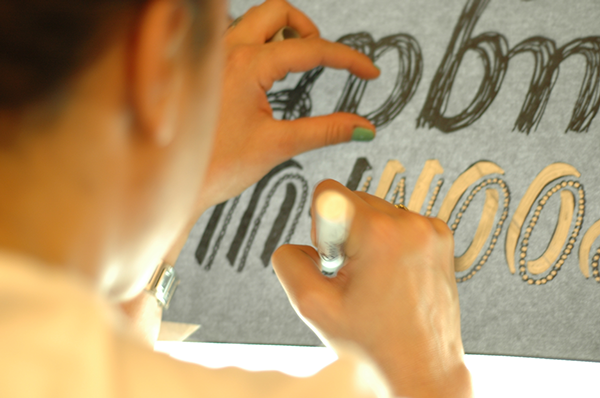 Find out more on the facebook page. 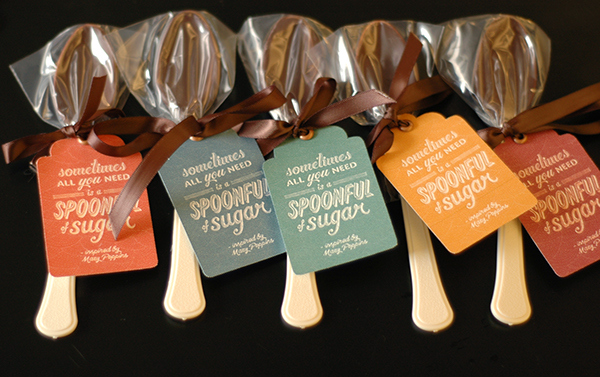 Home-made and packaged chocolate dipped spoons. 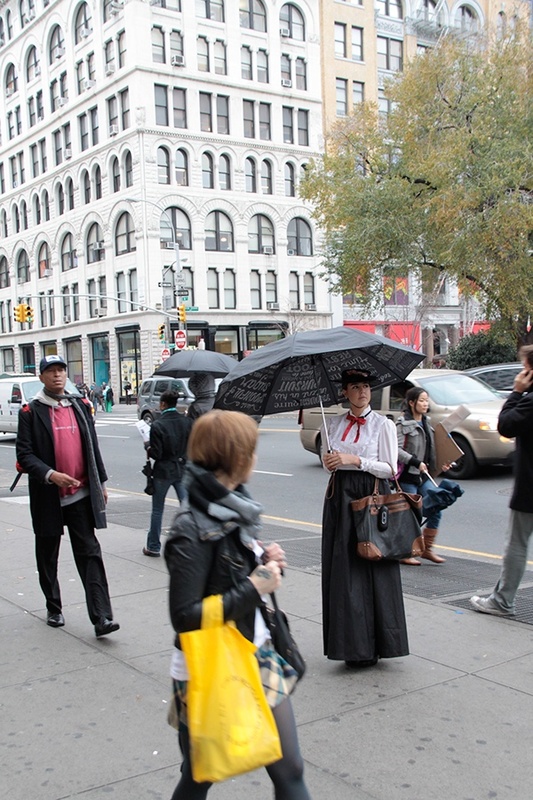 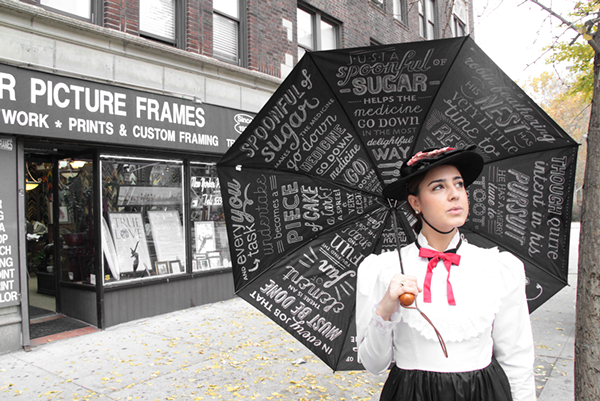 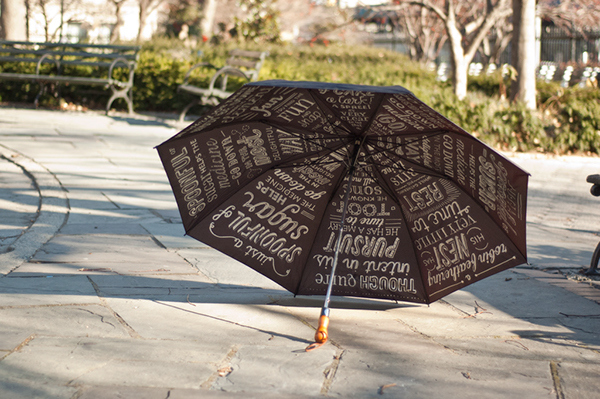 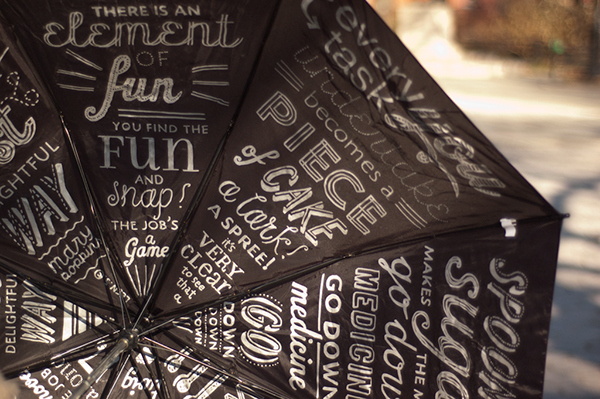 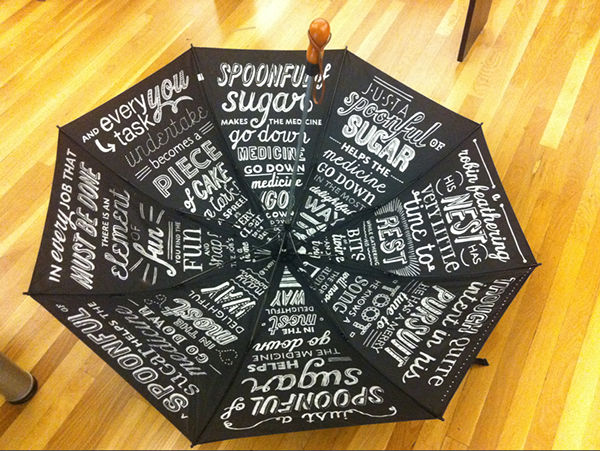 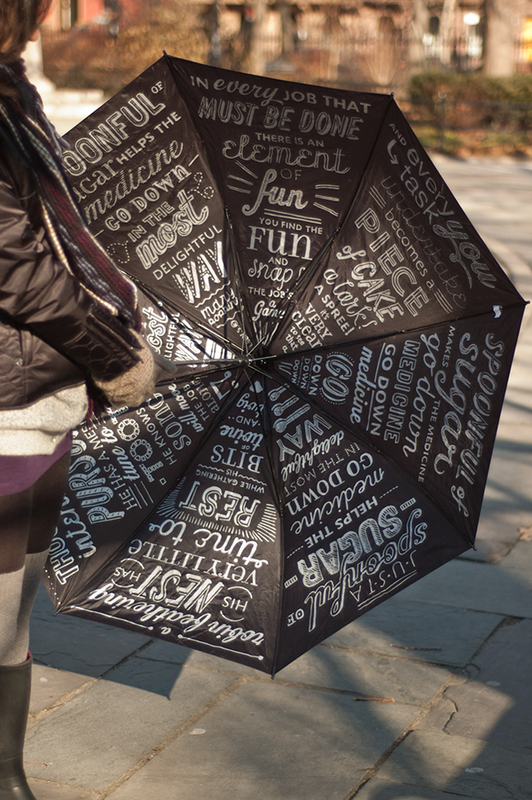 To touch the hearts of umbrella-less new yorkers on a rainy day, I dressed up as Mary Poppins and escorted people across the street carrying a hand-lettered umbrella and a bag of chocolate-dipped spoons. 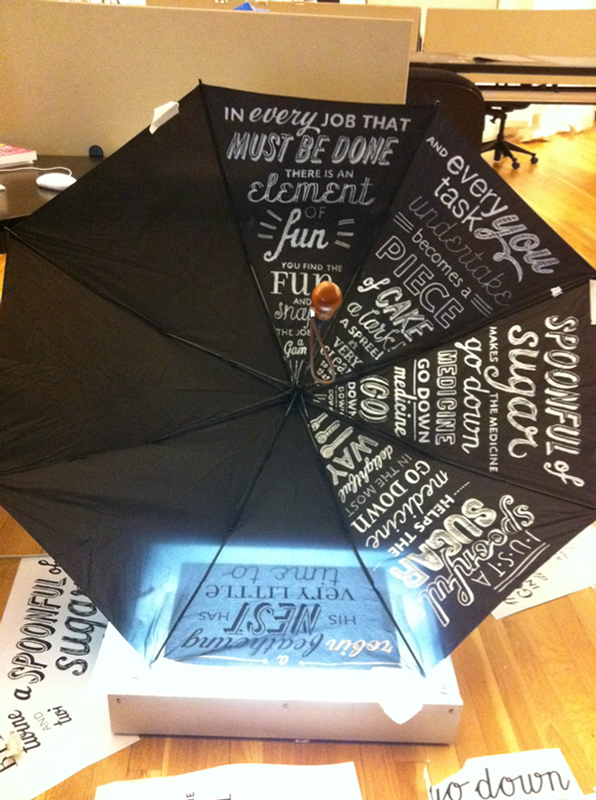 The umbrella was a huge hit.